PC F series is designed to produce maximum distillate quality with minimum capital and operating costs. Each model is a compact skid-mounted unit, simple, safe and easy to move. Control is by a PLC, including the functions of feed and discharge, therefore allowing automatic operation and minimum supervision. 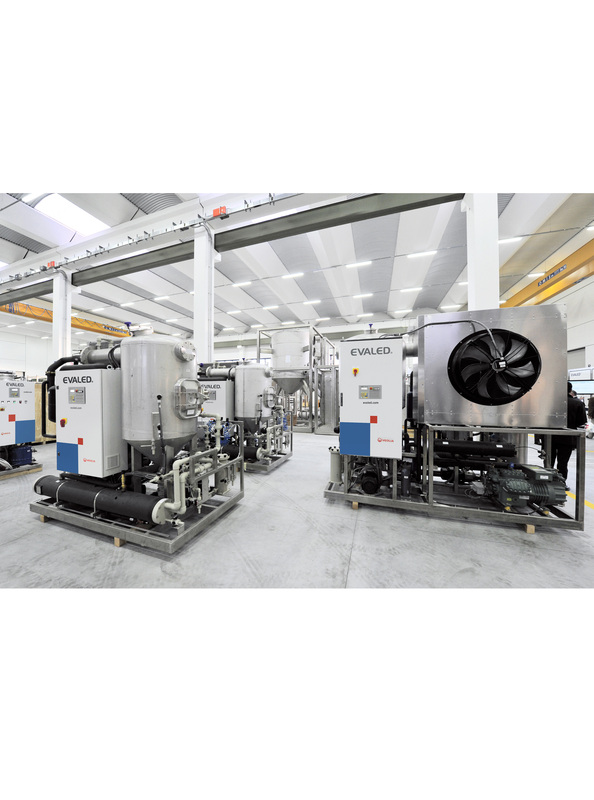 All models are designed for continuous operation, 24h/day, and require just electrical supply and compressed air. PC F series evaporators operate in a high vacuum condition, with the boiling chamber pressure set at 5-6 kPa (absolute vacuum), in order to save the thermal energy produced by the heat pump. In this way the boiling temperature of the wastewater is approximately 40°C (104°F) and typical phenomena (scaling, precipitation, corrosion) which may reduce the performance are either eliminated or considerably reduced. 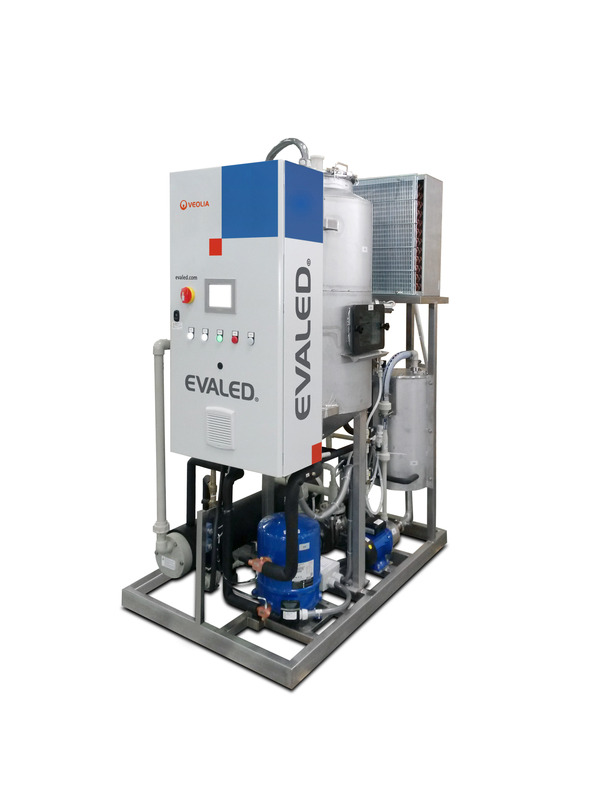 Veolia Water Technologies Italia is a reliable partner as ensures a lifetime guarantee for the EVALED® evaporators.